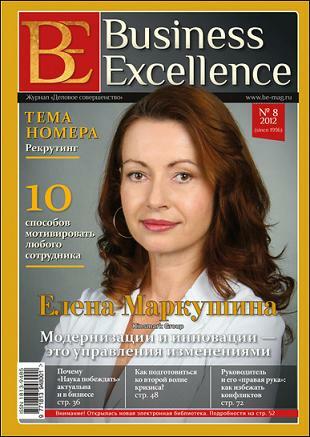 Kinsmark Group is a unique phenomenon in Russian community of business management professionals. It incorporates people who have personal long-term experience of working for real enterprises, own business, intimate knowledge and interest for continuous improvement. They are characterized by personal maturity, understanding essence of cooperation and value of trust, inner leadership and aptitude to altruism. KIN means the closest variant of kinship, and “kin group” is a group united by consanguinity. But Kinsmark is not a family business. In this part of name we put the main motive of our union: maximum concurrence of our core values in business, partnership and customer relations. Financial result of our activities is a result (or even a collateral effect) of properly implemented customer oriented strategy. In evolution theory (we could not miss this fact while we are organizational evolutionists) there is such a notion as kin selection. Richard Dawkins in his book “Selfish Gene” paid special attention to a search of altruism nature and interpreted kin selection as a unity determined by a likeness of genes, not by consanguinity. In other words: “Brothers may be alien to each other like neighbours, while incident acquaintances may become closer than relatives”. And though egoism is determined by evolution, when eliminating last displays of altruism it quicker destroys those groups that were supposed to cultivate reason, kindness and eternal values, keep and hand down knowledge, improve and perfect. MARK brings a sense of personal matureness, that has its individual style, that is flexible, acute, wise, ready for compromise, wishing to constantly learn from its Customers and together with them. In profession a personality is not a star but a master who is marking his work with satisfaction. Kinsmark is a portfolio of brands: each of us is either a Mark with a personal image, and value or can become one. It is assumed that self-sufficient personalities, lone wolfs, stars etc. are not able for partnership. We can agree with this thought only taking into account that there are really not many people having this and other abilities inherently. * A community consisting only of egoists and being moved by selfish motives is doomed. "Regarding altruistic behavior it is necessary to mention that kin selection mechanism does not "demand" to identify an organism as kin". (1). Richard Dawkins writes also: "Some people use the term kin selection to distinguish this kind of natural selection from group selection (the differential survival of groups) and individual selection (the differential survival of individuals). Kin selection accounts for within-family altruism; the closer the relationship, the stronger the selection. There is nothing wrong with this term, but unfortunately it may have to be abandoned because of recent gross misuses of it, which are likely to muddle and confuse biologists for years to come. E. O. Wilson, in his otherwise admirable Sociobiology: The New Synthesis, defines kin selection as a special case of group selection. He has a diagram which clearly shows that he thinks of it as intermediate between 'individual selection', and 'group selection' in the conventional sense—the sense that I used in Chapter 1. Now group selection—even by Wilson's own definition—means the differential survival of groups of individuals. There is, to be sure, a sense in which a family is a special kind of group. But the whole point of Hamilton's argument is that the distinction between family and non-family is not hard and fast, but a matter of mathematical probability. It is no part of Hamilton's theory that animals should behave altruistically towards all 'members of the family', and selfishly to everybody else. There are no definite lines to be drawn between family and non-family. We do not have to decide whether, say, second cousins should count as inside the family group or outside it: we simply expect that second cousins should be 1/16 as likely to receive altruism as offspring or siblings. Kin selection is emphatically not a special case of group selection. * It is a special consequence of gene selection..."
In 1996 three enthusiasts from Saint Petersburg started the first business analysis project for "MultyCut Systems". That time it was based on commercial logistics principles. Tree business section were under analysis: products, informational and financial. A point of a strategic optimum was chosen and three business directions of the company were tuned and harmonize in accordance with it. At the time of red coats and primary capital formation only few were interested in business as a system. A long pause in the projects was beginning to show. In 2000 appeared a post service Helper that could do mailings of articles about management according to subscribers mailing list (the list was collected manually). In 2001 appeared electronic journal "Change Management in Company", that soon got up to the highest levels in issue-related ratings and formed a circle of expert readers. In 2003 appeared the brand Kinsmark Group that united experts in developing management to create a professional community.